NB – there is a five fish limit per rod for all above sessions.. 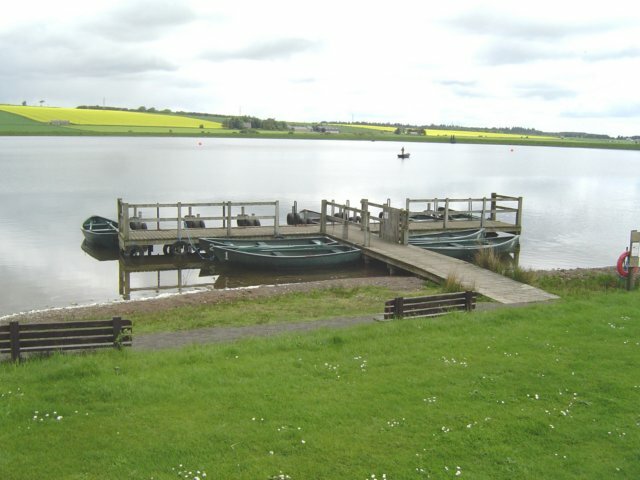 The ponds (reservoirs) fished by the Monikie Angling Club were created in the mid-1800s to provide the water supply to the nearby city of Dundee. The ponds are no longer used as a water supply, but do now provide some great quality fishing. At 76 acres the Island pond is the largest of the two ponds in Monikie Country Park and is stocked with both rainbow and brown trout. There are 11 boats available for hire and last season fish from this pond averaged 2 lb 1oz. If you’re lucky you may see the local osprey demonstrating how to catch trout, or you may even be lucky enough to see our family of otters. At 45 acres the North pond is the smaller of the ponds in Monikie park and is stocked with rainbow trout. There are 6 boats available and last season the fish from this pond averaged 2l b 2 oz. 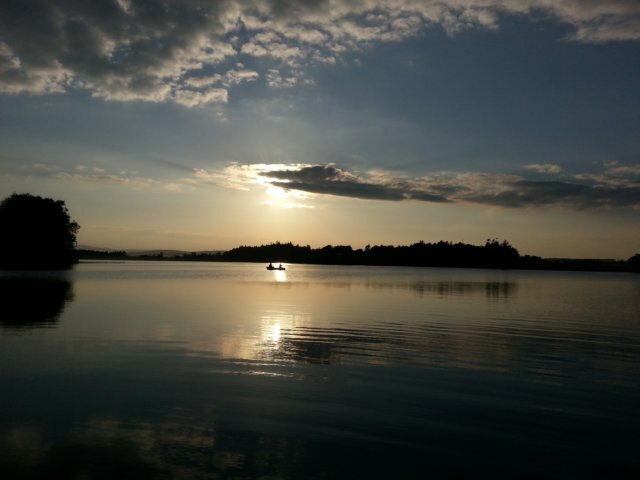 Superb sunset shot at the Island Pond. The jetty at the North Pond.